Woof?! Who do you think I am hoomin?? Unacceptable! 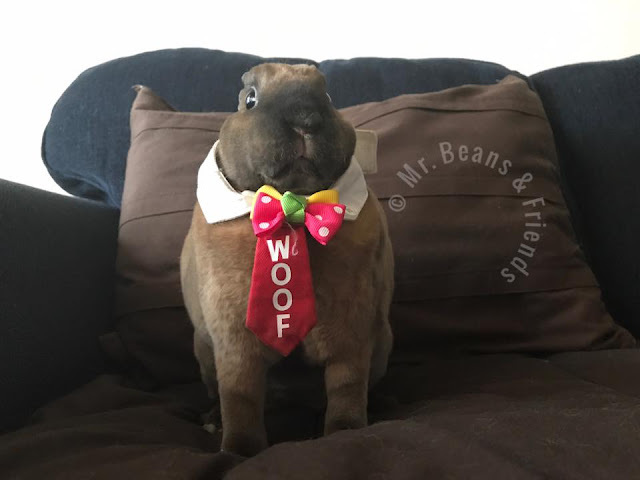 I have no personal rabbits, but I can safely say that this rabbit disapproves of his little costume.